Handzy Shop + Studio is bursting at the seams with the work of so many independent artists, makers and designers! This adorable print is perfect for plant ladies (and aspiring plant ladies)!! My (Catherine) favorite kind of party is a pug party so you can count me in with this adorable print! Being a platform for other creatives is a huge part of what keeps us coming to work day after day. We love our local community but we also stock products from independent makers across the globe! The products in our shop are carefully selected and everything we carry inspires and motivates us. The "Stocked Spotlight" gives us a chance to highlight all of those people that are a bit too far from Covington to be a 'Maker of the Month' but that we are incredibly proud to stock in our shop! We're excited to share a brand that we love. Cactus Club is a Los Angeles-based art prints and paper goods company based on the paintings based on the paintings of Melinda Tracy Boyce. Her colorful creations are inspired by nature and created with gouache and ink. All of the paintings are printed professionally on sturdy watercolor paper here in the U.S. Being a big supporter of local artists and designers ourselves, we at Handzy just love them! They only use the highest quality materials and processes so each piece feels like a work of art. THE CUTEST STICKERS EVER! which one is your fave? 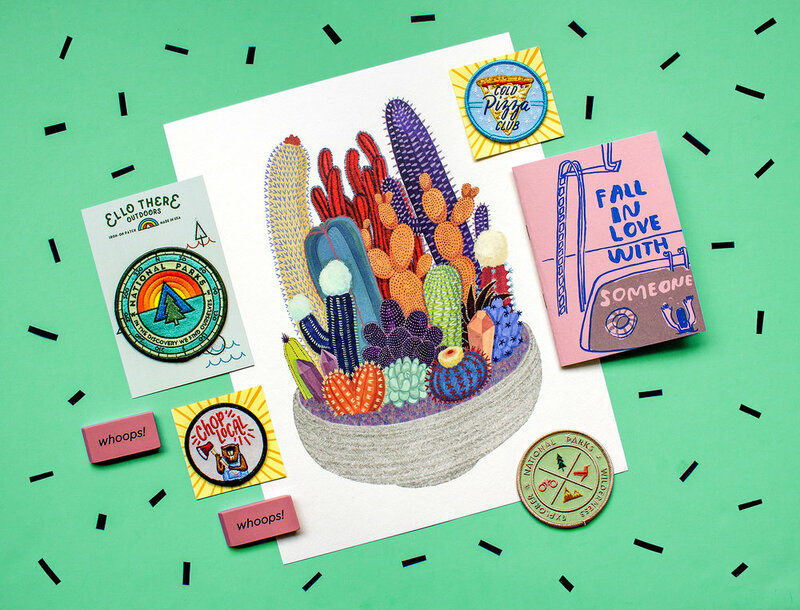 A Cactus Club print pairs well with some other cute stuff! Nov 15 Yelp Cincy Workshop!